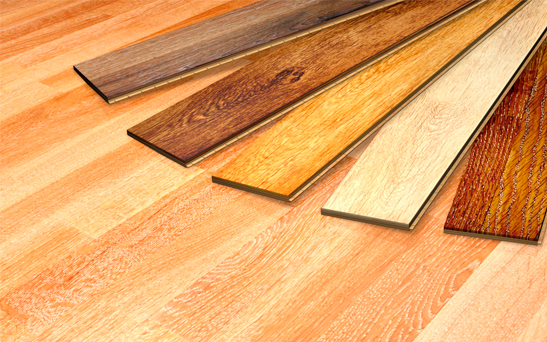 Laminate flooring is a great addition to any home. It’s durable, versatile and one of the easiest types of floors to clean. But, as they say, nothing’s perfect and laminate is no exception. It’s plastic sealant (the stuff that makes it shine) scratches easily making floors look unkempt. Luckily, there are Longwood laminate specialists who’re willing to share some tips on maintaining these precious surfaces seamless. There are two main tools you’ll be using if you’re patching up a scratched laminate floor: wax and putty. Both items come in a variety of colors so that you can easily match one with your laminate. It’s crucial that you find a color that’s as close as possible to your flooring, otherwise the “cover-up” might be worse than the scratch itself. Many manufacturers have repair kits that you can buy directly from them so, if possible, keep in mind where you got your flooring from and give them a call for help. If not, take a sample of your floor to the store and get a kit there. Wax pencils are like little wands. With the right color in hand, you can fill a scratch easily. Gently pass the pencil back and forth across the scratch (opposite to the way the scratch is moving) and use a soft cloth to buff the edges out. Take your time and be patient, the repair will get done but it shouldn’t be rushed. Deep scratches or wide scrapes really don’t take well to a wax pencil. Floor repair putty is more suited for this particular task. With a putty knife, spread the putty across the gash. Holding the knife at a 45-degree angle, make sure you’re pressing the mixture from different angles so that the scrape is totally filled. Scrape the putty with the side of the knife across the newly filled area and the surrounding floor to make it level. Wait about a day and the repair should be complete! For big boo-boos, the best option might be to simply replace the slab of laminate all together. While yes, there are tools that can help, if the damage is too large, it’s easier to remove the piece all together and avoid the risk of damaging more then one or two panels. Laminate an awesome, family friendly flooring that adds a sleek touch to any home. Being watchful of scratches is expected, but know that fixing them isn’t impossible. All it needs is some TLC. No matter what your flooring needs may be, there’s a local Longwood laminate specialist that’s ready to help you find solutions. Don’t hesitate to call or come by and we’ll be glad to talk it over.